Last Saturday I was very pleased to be the opening speaker in SilverWood Books‘ autumn Open Day, which offered a great line-up of experts on writing and self-publishing. 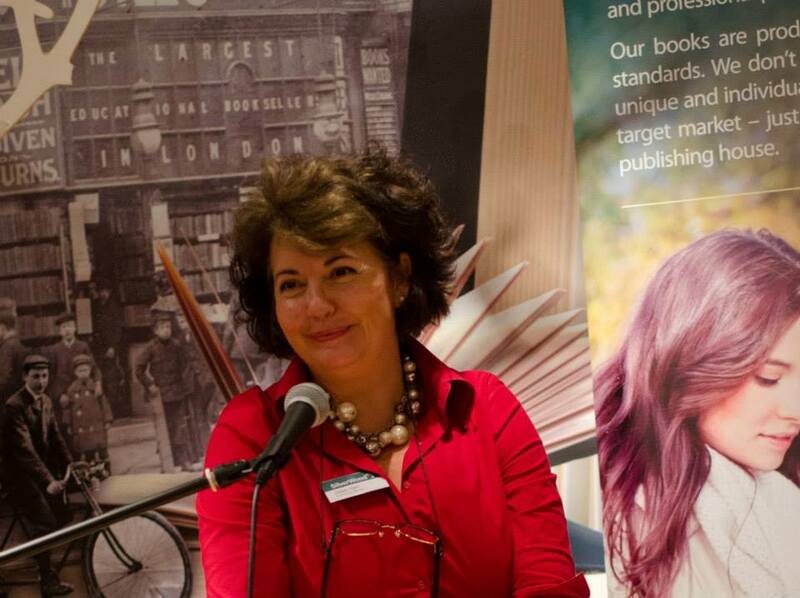 Thanks to the generous support of Foyles’ Bristol branch, SilverWood’s publishing director and her wonderful team were able to provide the event free of charge, creating a rare opportunity for a valuable learning experience affordable even to the most impoverished aspiring author. This was a characteristically generous move from SilverWood, which not only helps authors self-publish beautiful books to a professional standard, but also offers lots of free information and advice on their website’s Learning Zone. They also publish, through their SilverWood Originals imprint, a range of books to help authors write, polish and market their books, including my own Sell Your Books! When to go it alone, and when to get help…and how to avoid the companies who really don’t have your best interests at heart. I’m going to kick off with a quick definition of what it means to be self-published, and debunking some of the myths around self-publishing. After that, I’ll give you some pointers on when to go it alone, when to involve other people, and how to choose the right partners to make your self-published book the best it can be. 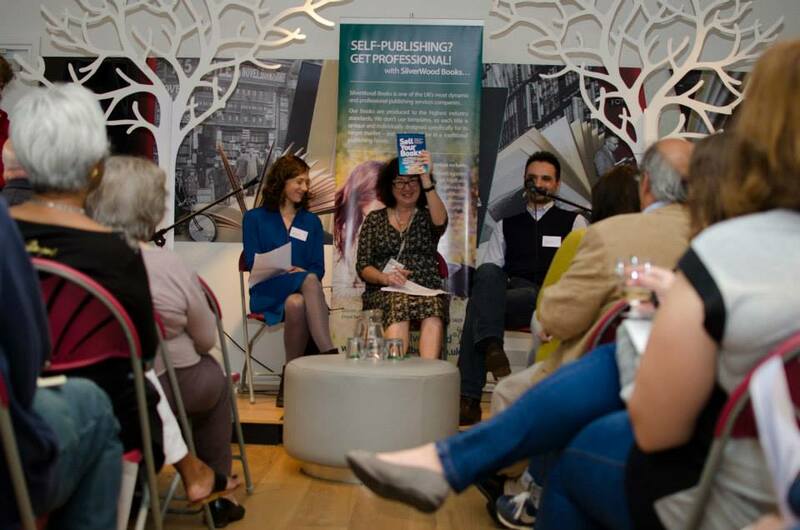 So, first of all – what is self-publishing? There’s a popular misconception that self-publishing is to publishing as home-baking is to buying ready meals – that if you don’t do it all yourself, you’re cheating. Not so. What self-publishing really means is that the author takes control of the publishing process. It’s a bit like when an actor turns director. That’s why some people these days use a different term – the author-publisher, rather than the self-publisher. As author-publisher, you assume all the responsibilities that a trade publisher has for publishing a book commercially. For a trade publisher, a cracking manuscript is only the starting point, which must then be nurtured through the production process, to turn it into a marketable book. Writing. First, write your book –then amend, draft and rewrite it until your manuscript is the best you can make it. Proofreading, that close cousin of editing, to correct any errors that would distract the reader from your story. Formatting. There’s a different formatting process for print and ebooks, which requires a completely dissimilar set of skills from those earlier processes. Note the mention of print – it’s another popular myth that self-publishing equals digital publishing, i.e. only ever ends up with an ebook. Designing a cover. Not a question of choosing a nice picture for the front, but a complex process with lots of technical considerations, such as showing your book’s genre at a glance, and being easy to read at thumbnail size on a computer screen. So, not as simple as it first sounds. Creating the blurb. That’s the copy on the back, to persuade readers to linger more than the standard 8 seconds of a typical bookshop browser. It should also create the right expectations, so that when the reader gets to the end of your book, they recommend it to others. 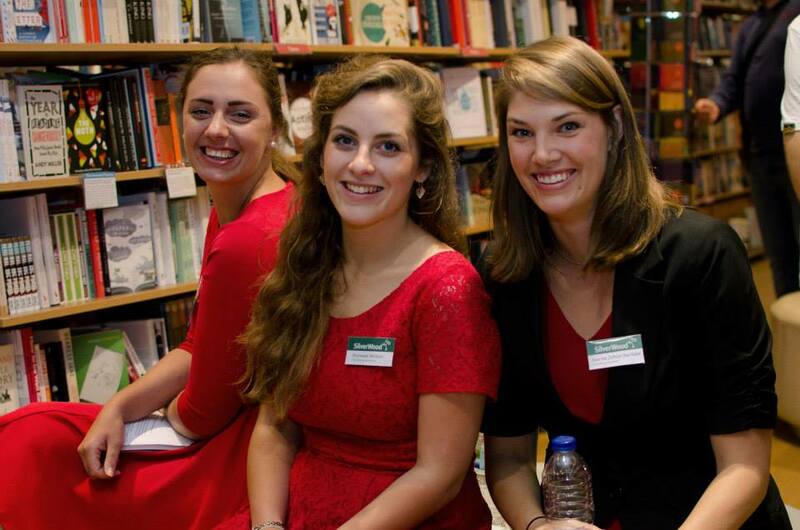 Despite our digital age, word of mouth is still the most powerful way of selling books. Marketing – finding readers to buy and read it! Ben Cameron will be talking about that later. Now, you could try to do all of this yourself – and plenty of people do, because it’s very easy to do all of those processes, for no up-front cost, via free tools provided by online retailers. I say easy – it’s easy to do them, but much harder to do them to a professional standard. If you’re just producing a book for fun or for only your family to read, that’s fine – you can easily do that on a photobook site such as Blurb or even on your computer printer at home, or you can publish it online as a website or blog. But if you’re putting your book out there in the public eye, it needs to look professional. If not, you risk the wrath of the reading masses. If you have lots of typos, for example, expect to receive a string of poor reviews from people complaining about them – and those reviews will remain live online as long as your book does. Or, if you let your book go out with a duff cover, it might disappear into a black hole, because no-one is attracted to buy it. For an author to possess all the skills, experience and materials to carry out every part of the publishing process to a professional standard is about as likely as someone who decides to build their own home being able to do everything from drawing the plans to digging the foundations to putting on the roof without expert help. If, like me, you are a fan of the tv programme Grand Designs, you’ll know there’s nothing more guaranteed to raise the eyebrow of the lovely Kevin McCloud, than having one of his subjects gaily assert that they’ll be doing their own wiring, or some such task, in order to save a few quid. It’s a false economy. So you need to recognise where your skills lie, and where there are gaps, before you go any further. That’s not to say you can’t acquire expertise in some parts of the process. For example, if you’re good with IT and are a stickler for detail, learning to format an ebook is not that hard to do, provided you’re able to throw time at it. Though as with all of these processes, if you’re cash-rich and time-poor, buying in services will help you complete your project a whole lot faster – and it will also free up more time for you to write, which I suspect for most of us is what we really want most to be doing. But other skills are much harder to acquire – the artistic and creative flair for cover design, as well as the technical know-how. You might think editing and proofreading fall into the easy-to-do category. After all, aren’t you a writer? Isn’t that a key area of strength? But the hard truth is, you simply won’t have the necessary objectivity. Your eye will see what your brain remembers, not what your hands accidentally messed up while you were typing. Whichever services you decide to outsource, there are cost implications. Before you commission any third-party service, you must do your sums and work out whether your project cost-justifies your proposed investment, including all the easily overlooked incidentals, such as shipping and petrol, postage and packing. But that’s only if profit is your motive – maybe even breaking even doesn’t matter. You might consider your book project a hobby, to be funded, like any other, out of your own pocket. That’s fine too. Plenty of commercially published authors see no profit on their books, once they’ve factored in their hourly rate for writing the thing – they earn their real living from work associated with their books, such as journalism, merchandising and the after-dinner speaker circuit. While writing and publishing your own book can be sufficient reward, regardless of money, there are plenty of author-publishers who are earning a good living and more, from their self-published books. There are also plenty who start out as self-published, before being talent-spotted by commercial publishers keen to offer them contracts. Some accept gladly, it’s been their lifelong ambition. Others don’t, because they value the artistic and creative freedom – and the greater profit margins – that comes with being self-published. But please don’t assume that you’ll make a fast buck. Self-publishing is a long, hard game. It’s a marathon, not a sprint, and there are no guarantees. But the more professionally your produce books, the greater your chances of being a winner. So how do you decide which service to use? There are plenty of organisations and individuals willing to take your money offering you low cost options for every part of the process. Cover designs for a fiver? Book formatting for £50? You’ll easily find offers like this online, but as everywhere else in life, you get what you pay for… And if an offer looks too good to be true, it probably is. Conversely, don’t assume the most expensive will offer the best service. It may just be a rip-off merchant. Having decided which services you need to buy in, you have another decision to make: do you want them all under one roof, or are you happy dealing with lots of different subcontractors? Back to my earlier house-building analogy, you might feel more comfortable and less stressed with a project manager who will oversee and coordinate all of those services for you. This is where a company like SilverWood Books comes in, bringing to the game its experience of publishing hundreds of books in different formats across a wide range of genres. A contract with SilverWood not only brings everything under one roof, it gives you much more than the sum of the parts. With any service provider that you are considering using, check them out thoroughly before you commit. Ask for samples of their work, get references, keep asking questions until you’re satisfied. You’re the publisher, remember, you’re the one in charge. Whoever you choose, make sure they have your best interests at heart. There are plenty out there who don’t. One notoriously dodgy practice is to offer the author a relatively low price for complete production services, but then to retain most of the revenue from sales, and even the rights. Thus the author is no longer owns the copy that he has written. Some also deny the author any control over how the book is produced, priced or marketed, so the author ends up with their book an over-priced lemon sold only where no customer is ever likely to find it. Others keep adding invisible extras resulting in a staggeringly high bill. Any of these scenarios is absolutely devastating when you’ve put your heart and soul into writing your book. One of the reasons that it’s relatively easy for unscrupulous service providers to get away with such invidious practices is that they tell authors what they want to hear. A truly sound full-service provider will be honest with their authors, and if they’re shown a manuscript that really does not make the grade, they’ll say so, and then go on to help them improve it. So how do you find the good guys? You might have thought of looking through the adverts in writing magazines or searching online. The constraint with taking that route is that you’re reading only what the service provider wants to tell you – not the opinion of an objective third party. Another way is to consult a directory called Choosing a Self-publishing Service Provider, produced by the Alliance of Independent Authors, commonly known as ALLi. Not only does it include a large number of service providers, it also has a very long section on how to choose the best service, in much more detail than I’ve had time for here today. It’s very low cost to buy, so it’s an excellent investment. There’s also a way of getting this book free of charge which is by joining ALLi. A free copy of the book is one of many membership benefits, the most important of which is to put you in touch with other authors who are already successful self-publishers, to learn from their experience and to share best practice, including asking which services they can recommend. I have to declare an interest here: I’m an author member and I also edit ALLi’s blog of self-publishing advice, which issues daily guidance for authors everywhere, written by the members themselves. I know we’ve got some ALLi members in the audience – can I have a show of hands please? All fine and honourable chaps as you can tell! 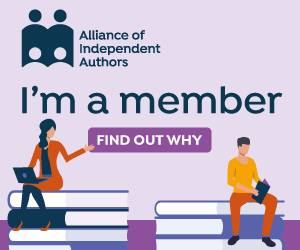 The Alliance includes not only successful author members – but also partner members who have been vetted to ensure they are ethical and trustworthy. Many of these partners also offer discounts to ALLi members. SilverWood Books is a partner member, as is Cameron Publicity, whose director Ben Cameron will be speaking later about marketing. Kobo, represented here by Diego Marano, is a generous industry sponsor of ALLi’s work – in fact they kindly allowed us to launch ALLi’s latest handbook, which I co-authored, on their stand at the London Book Fair earlier this year. Any other partner members or sponsors here that I’ve missed? By the way, you don’t have to be already self-published to join ALLi – there’s a discounted entry rate for associate members. If you’re interested in finding out more about ALLi, please take a leaflet or speak to me about it afterwards, or if you prefer, leave your contact details on the sheet for me to contact you. I hope that’s given you a clear idea of what modern self-publishing means, and of some of the things that you need to consider on your own self-publishing journey. To sum up – remember that the self in self publishing reflects the focal point of control, rather than defining who does all the work. The person in control of the process is you, the author, and you call the shots. The good news is, that means you’ve got the best boss in the world! Whatever your book project, whatever genre you’re working in, I wish you the best of luck with it. It’s an exciting, addictive process, and I’m sure today’s event here will help you enjoy it all the more. For more information about SilverWood Books, visit their website: www.silverwoodbooks.co.uk. Feel free to contact them directly by phone or email if you’d like to speak to them about your self-publishing project. They are all lovely people and will be very pleased to speak to you. You might also be interested in entering their fab new competition that they’re running in collaboration with Kobo Writing Life – click here for more info. What a brilliant post, Debbie. The day went by in a whirl and it’s so nice to take the time to read what you said and absorb it. Excellent points all round, and lots of information for new self-publishers (or should I say – author-publishers!). We loved sharing the stage with Debbie Young at the recent SilverWood Books Open House – here are her thoughts and the text of her amazing talk, right from Debbie’s blog. What a great, informative speech! Sharing and saving.